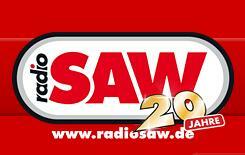 On Radio Saw you can listen wide range of cutting-edge news of all over the world and also News full program of Saxony-Anhalt,background reports, lots of service, exciting games, and many more entertaining programs.Its genres areHot AC, Top 40-Pop & Euro Hits and headquarter is Magdeburg, Germany. 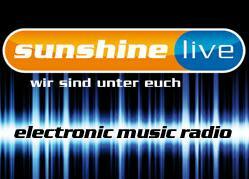 Sunshine Live is a German private radio station which focus on electronic music , Electronic-Dance & Euro Hits.Sunshine started its broadcasting service on 20 June 1997 in Schwetzingen and now it is based in Mannheim.This is a popular FM station broadcasting for German community & here you can listen 24/7 Hrs live stream.Its headquarter is located in Mannheim, Baden-Württemberg, Germany. RPR 1 Webradio started broadcasting service in 1985 , This is basically the first private famous station in Germany.The first program it broadcasts was on 30 April 1986 at 18:30 clock .This is a famous FM station transmitting every types of popular programs.The company is GmbH & Co KG.Genres are Top 40-Pop, 80′s, 90′s. 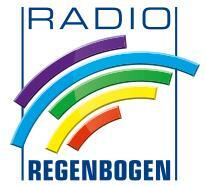 Radio Regenbogen is actually a private local Fm Station based in Heidelberg, Germany.You can listen its live transmission with the help of powerful transmitter on frequency 102.8 FM.You can watch also its online stream in the western part of the country.Its first broadcast was on 25 March 1988.It is on air on genres Adult Contemporary, 80′s & Classic Hits. Radio Darmstadt is actually broadcasting live especially for the citizens of Darmstadt and its surrounding areas.Basically this FM station aim is to promoting the local culture of the country.This is one of the famous station whose genres are also Adult Contemporary & Community. Querfunk FM is Easy Listening and Soul Genres online station which is broadcasting in German language for German community.It is based in Karlsruhe, Baden-Württemberg.For contacting purpose just call on the number 0721 / 38 50 30. 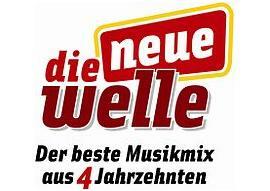 Die Neue Welle is based in Karlsruhe Germany and it is a private FM station and its broadcasting transmission can be listen in city , district of Karlsruhe, the District of Rastatt & the Enz.Its programs are in adult contemporary, Top 40-Pop, Oldies format.Its listeners are in between 29-49 years. Big FM is basically private and nationwide station which is based in in Mannheim.You can listen live transmission of Big FM everywhere in the southwest of Germany’s Rhinelan.Big FM genres is Adult Contemporary, Euro Hits & Top 40-Pop.It is located in Heidelberg, Germany.On this channel you can watch Deutschlands BIGGSTE Beats, Deine Musik, Dein Sender, Deine News and many more. Bermuda Funk is free German radio station from Rhine-Neckar region which is around Mannheim and Heidelberg and it is signed by the registered association.This is an independent station in Mannheim, Germany.Its genres are also Adult Contemporary & Top 40-Pop.This channels is member of BFR.It is on air on frequency 107.4. Galaxy Rosenheim is actually Bavaria-wide youth channel on which you can enjoy Hip Hop, House & Adult Contemporary genres music programs online.Listen 24/7 Hrs local News and international News “World News” which is providing interesting facts from the music business.Its headquarter is located in Rosenheim, Germany.